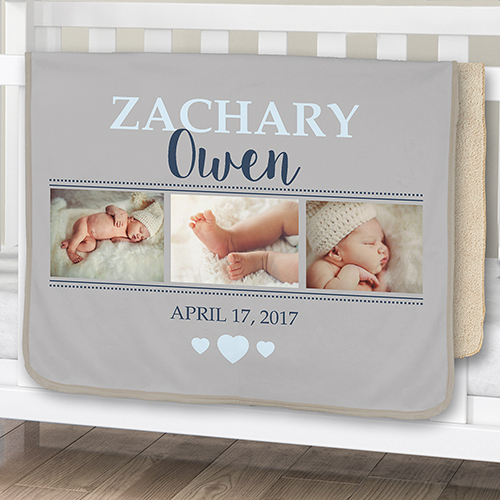 Create a personalized baby blanket like this throw blanket - all about that adorable new baby with our Baby Photo Sherpa Blanket. 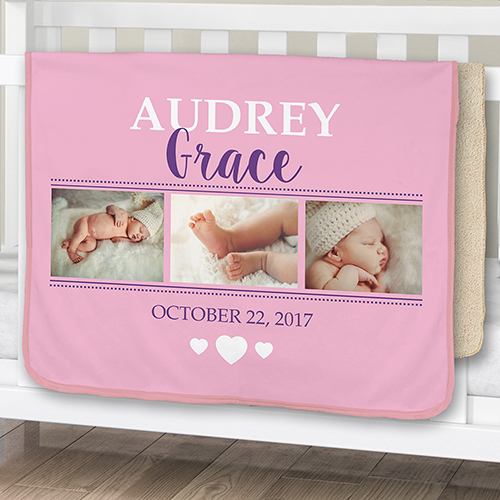 We will custom create with 3 of your favorite photos, your choice of design color, any first name, middle name and date of birth. Makes a great gift for any new baby! Keep your youngster warm with help from this Sherpa-lined micro-mink baby blanket! This comfortable 13 oz. product is made from ultra-smooth micro-mink polyester with 100% polyester plush Sherpa lining, as well as binding finished edges for added stability and elegance.